Recently on live TV, Sheikh Abdul Maqsud, an Islamic jurisprudent, issued a fatwa obligating “Muslims” (in this context, Muslim Brotherhood supporters in Egypt) to engage in acts of terror against “infidels” (in this context, the Egyptian government and anyone else opposing the Brotherhood). Maqsud’s point was that jihad must be understood in the context of capability. 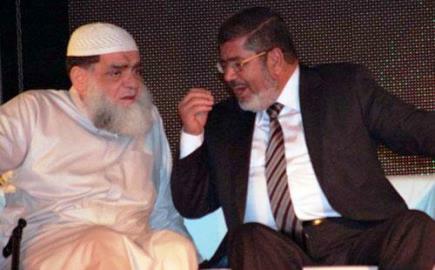 Because the Muslim Brotherhood and its jihadi allies and supporters are simply not capable of taking the Egyptian state head on—due to, as Maqsud bemoaned, Egypt’s military strength and organization, advanced weaponry, and large numbers of soldiers—all pro-Brotherhood Muslims should limit themselves only to those things they can do, namely, terrorism. To further bolster this view, the sheikh quoted from the renowned Islamic jurist Ibn Hazm, who wrote that Muslims must only draw the sword in jihad when victory is attainable. Maqsud, like so many before him, rationalized jihad in the context of the doctrine of abrogation, specifically, by taking the view that later verses do not cancel out earlier ones, but rather that Muslims must uphold those verses that are closest to their personal circumstances.